For as long as I can remember my big boy has had an interest in cooking. He would sit on the kitchen island and watch me as I prepared meals for the family until finally around 5 I started letting him be my little kitchen helper. He would pour things into bowls and stir mixtures for me and just began to love doing it. It wasn’t a surprise at all because his father loves to cook as well. When he was about 8 he asked if I could teach him how to cook. So, I did. I began teaching him to cook by letting him practice cracking eggs when I needed them. It took a few tries but he finally got the hang out it. From there he learned to cook them. Now, I rarely have to make breakfast because my little chef has that handled! 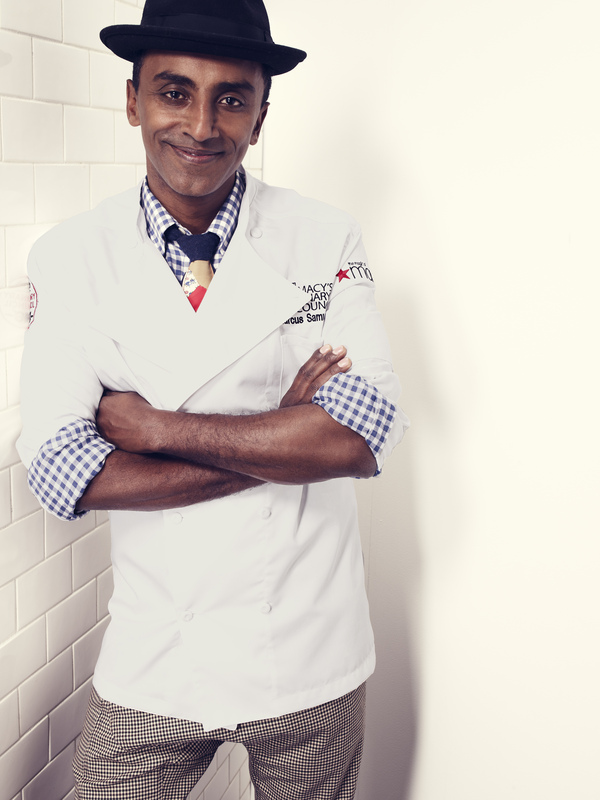 This Saturday, August 5 at 3pm the Macy’s Millenia Culinary Council is hosting a FREE Cooking Class for Kid’s featuring Marcus Samuelsson here in Orlando, FL. I told my son all about it and he is super excited. He is very familiar with chef Marcus Samuelsson as we have followed his career since seeing him on one of our favorite cooking shows. Chef Marcus Samuelsson was the youngest chef to ever receive a three-star restaurant review from the New York Times. His fusion of Ethiopian and American cuisine is what sets him apart and makes his recipes anything but ordinary. You should join us at this Macy’s Culinary Council Event for a one of a kind cooking class for kids as the chef teaches some of his favorite dishes that are not only yummy but fun to make. RSVP: Visit http://marcusmacysmillenia.eventbrite.com/ to RSVP for this FREE event. If nothing else come for the goods. I know I am. While at Macy’s any purchase of $35 or more in the home department will get you a special gift, a $10 Macy’s gift card, and a choice of either Make it Messy or The Red Rooster cookbook. You will also get a chance to meet and take a picture with chef Samuelsson.